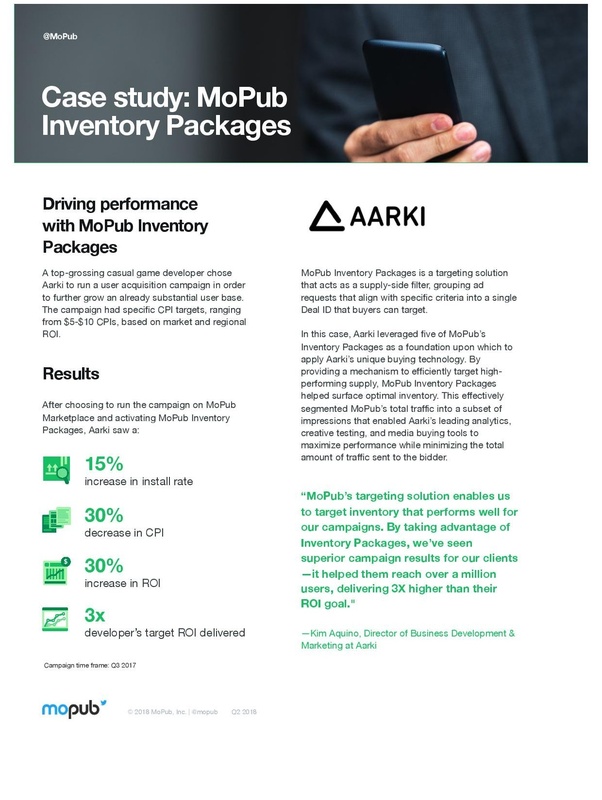 Aarki collaborated with MoPub, the leading monetization platform for mobile apps, to publish a joint case study showing the superior campaign results for a casual gaming app driven by targeting with MoPub Inventory Packages. We ran a user acquisition campaign for a top-grossing casual game developer. By leveraging MoPub Inventory Packages, we were able to drive results for key metrics including install rate, CPI, and ROI. To review the full case study, please click this link.